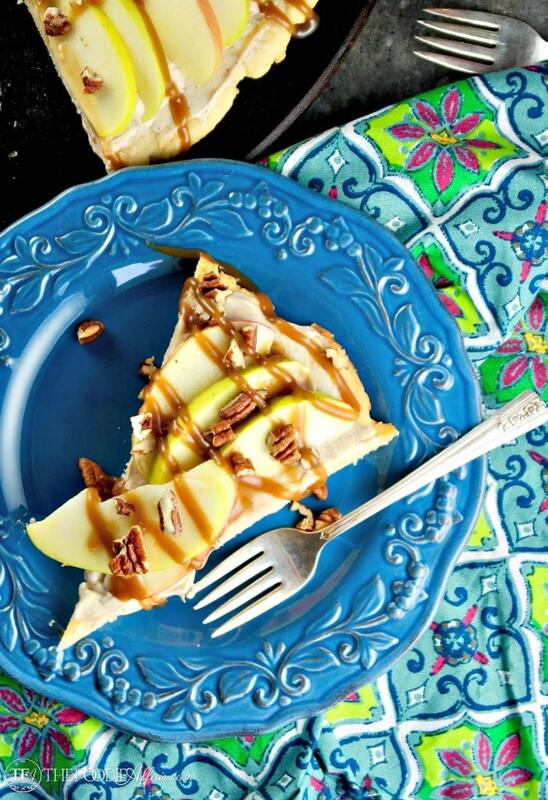 This Caramel Apple Dessert Pizza is made with a ricotta cheese cookie base, a layer of cream cheese & caramel topping, and fresh sliced apples and pecans! It’s National Pizza Month and I’m participating in the Sunday Super Movement hosted by Red Head Baker. Sunday Super Movement is a virtual blogger’s progressive dinner party encouraging families to gather around the table and connect though food and conversation. Sounds like a great Sunday evening don’t you think? Especially when there is dessert pizza involved! 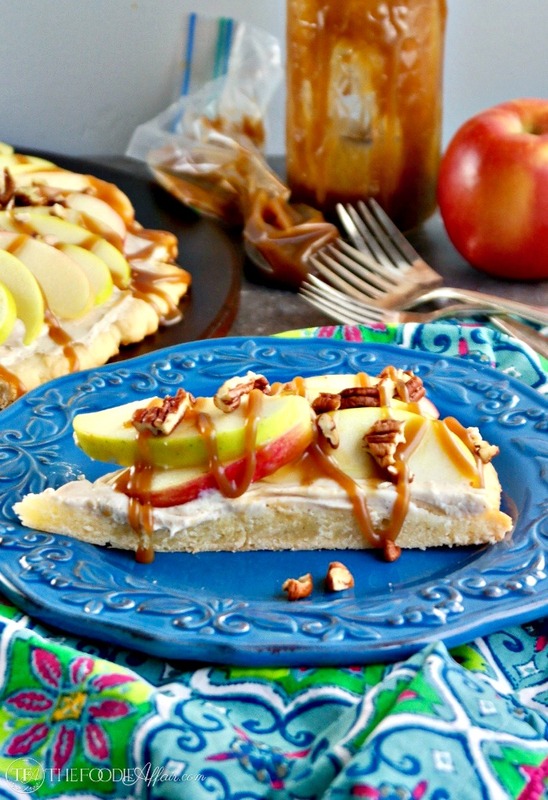 Caramel Apple Dessert Pizza – Gather around and grab a piece! 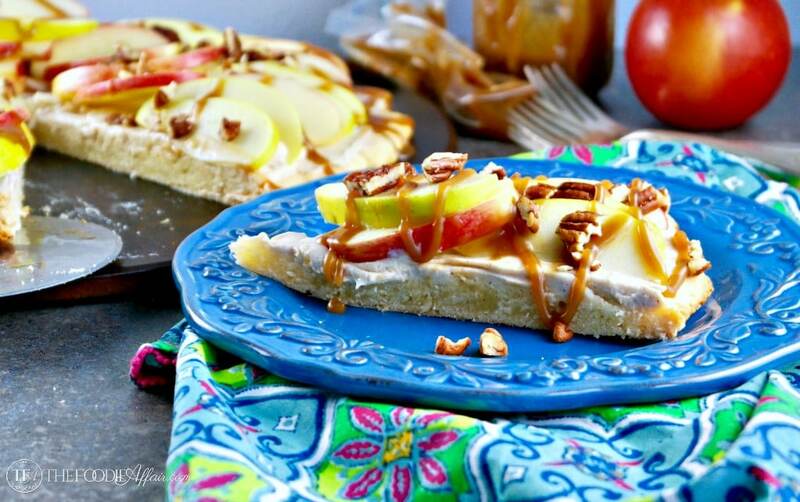 Pizza is a dish meant to be shared with a crowd, and this Caramel Apple Dessert Pizza is no exception! Just like a traditional savory pepperoni pizza this sweet treat is meant to be sliced up and shared with friends and family. All the ingredients used in this recipe are from scratch: cookie crust, pizza cream cheese sauce, and the caramel. Don’t let the list of ingredients scare you off from making this. With a little planning it comes together easily. Plus, look at all these AMAZING flavors together! It’s scrumptious! Let’s get started with some tips! First, be sure to mix the cookie pizza crust in advance because when the dough is nice and cold it will roll effortlessly when shaping it. The pizza crust is adapted from these Ricotta Cheese Holiday Cookies with a slight modification. There is only one teaspoon of baking powder in this version since the crust shouldn’t be pillowy like cookies. I’m so pleased with results of the base of this pizza! The dough makes marvelous cookies and do I dare say an even better crust?! Similarly to the crust, the caramel sauce should be made in advance as well. The sauce needs a little time to thicken and cool before adding it to the pizza. Once all the ingredients are set and you’ve baked the crust you are ready to add the layers! Can you believe that all those apple slices are from just two apples? 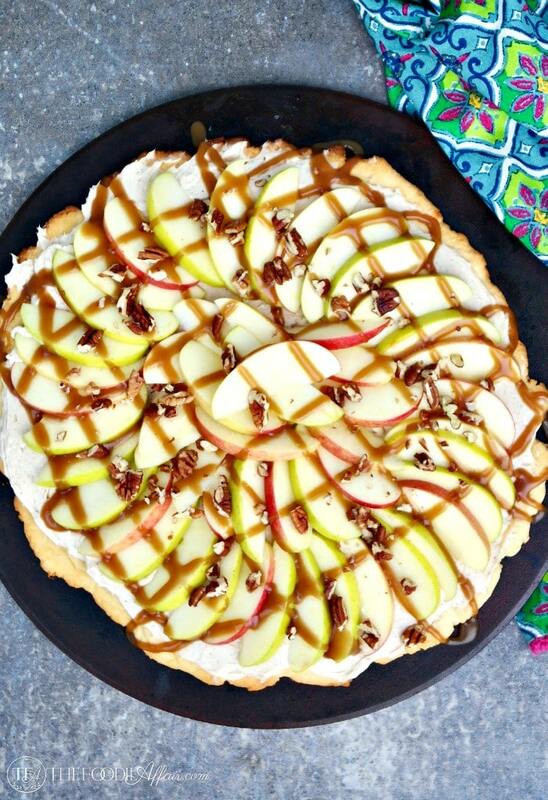 This Caramel Apple Dessert Pizza came out better than I anticipated and I’m anxious to make it again! Who’s having a pizza party? I have dessert covered! 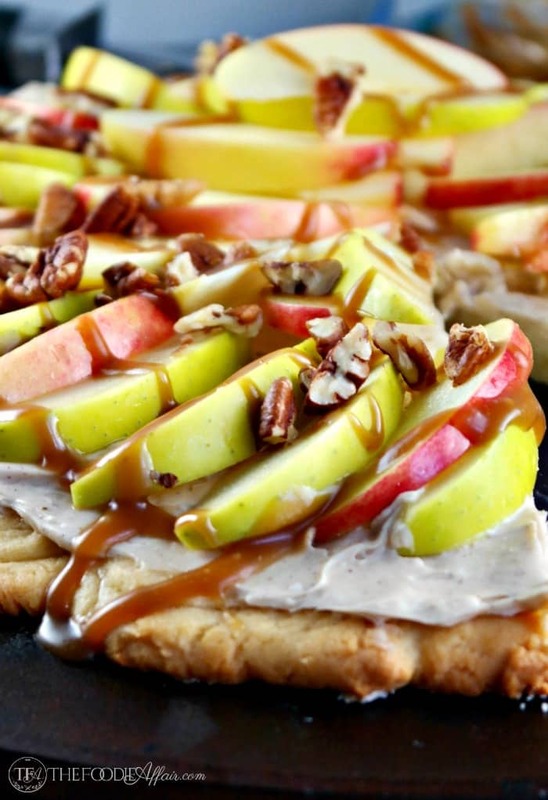 Easy dessert pizza with a homemade cookie crust topped with sliced apples and topped with caramel. In a large bowl, with mixer at low speed, beat sugar and butter until blended. Increase speed to high; beat until light and fluffy (about 3 minutes). At medium speed, beat in egg, ricotta cheese, vanilla until well combined. Reduce speed to low. Add flour mixture, beat until dough forms. Chill for at least 2 hours in the refrigerator. Roll or shape dough with your fingers (use parchment paper over dough to prevent it from sticking) in to a 16 inch pizza shape. Bake for 20 minutes or until dough is set. Let cool completely. In a small sauce pan add the brown sugar, whipping cream, putter and salt. Cook over medium low heat. 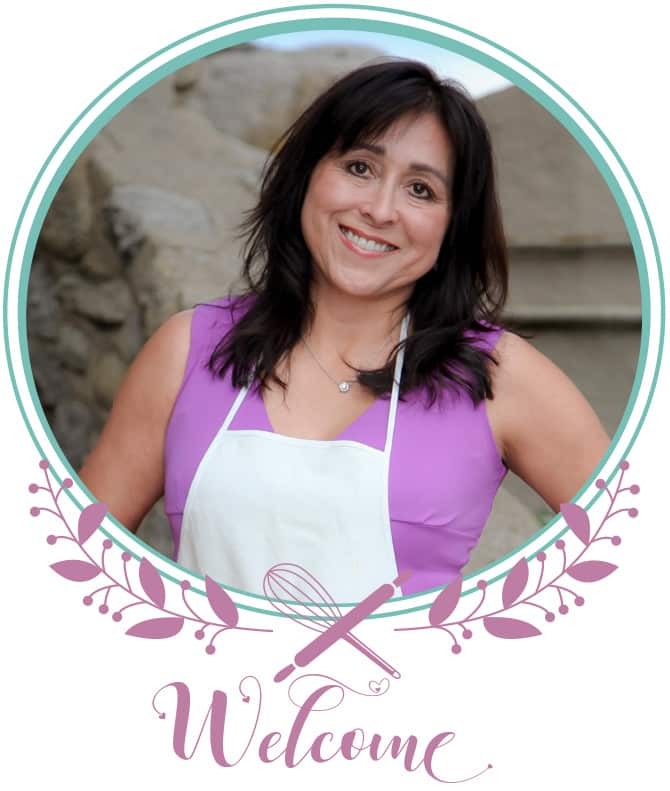 Whisk while cooking for 5-7 minutes or until it thickens. Add the vanilla and cook for another 2 minutes. Remove from heat and cool. 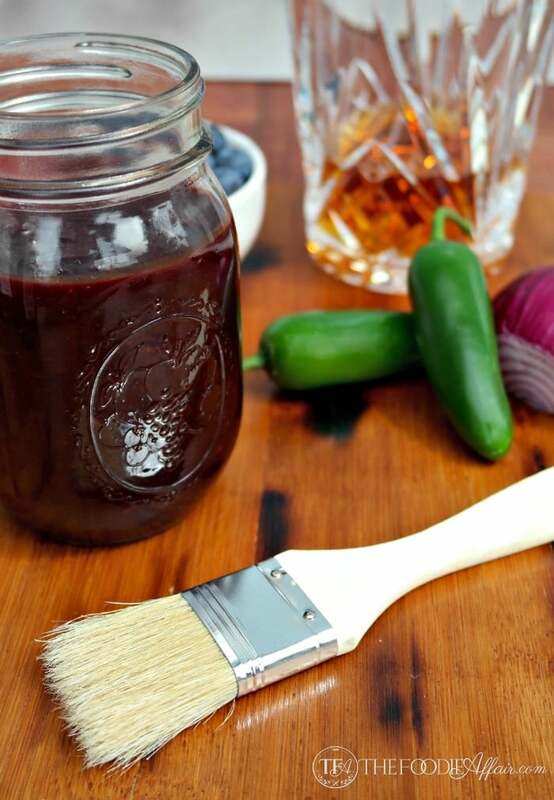 Pour into a jar and refrigerate. Combine cream cheese 1/2 cup of prepared caramel sauce. Mix thoroughly and add apple pie spice mix. Add cream cheese over cookie pizza crust. Layer prepared apple slices on top. Drizzle with 1/2 cup caramel sauce. Top with pecans. Enjoy! I like that you keep the apples raw instead of cooking them. This looks like a delicious dessert pizza! Thank you! The fresh apples add great texture with the soft cookie base. I love dessert pizza. This looks amazing and guess what? i have everything I need to make it today! Isn’t that great when that happens! This is a fun recipe to make. Hope you love it! So cool that you made everything from scratch. Love that and the way you fanned the apple so beautifully! Thank you, Laura. I thought about taking a few short cuts, but I had all the ingredients so why not make it from scratch! That looks fabulous! Ive never made a dessert pizza but I think I’m going to try! Caramel and apples go so great together! Loving your fall inspired fruit pizza. So pretty and delicious too and that crust looks killer good. What a fun pizza round up. On my way to check out the others. Pinning and sharing, of course! I would definitely eat caramel apples in pizza format! Genius.